Had a lot of fun riding Scott bikes in Austin a couple weeks ago, like these two Sparks. During Scott Week last year, rode a Tuned Genius LT too, and their downhill bike. 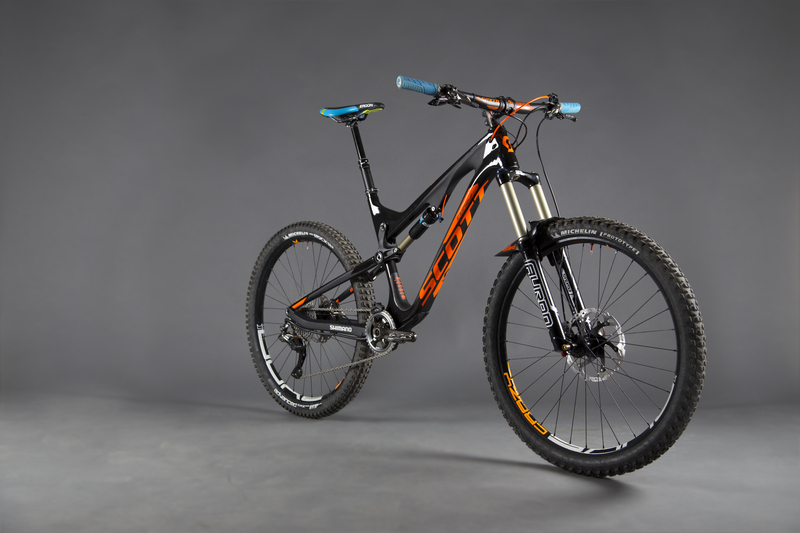 Scott PR shared these photos of the Genius LT 700 Remy Team Edition, as seen at the Enduro World Series stop in New Zealand. 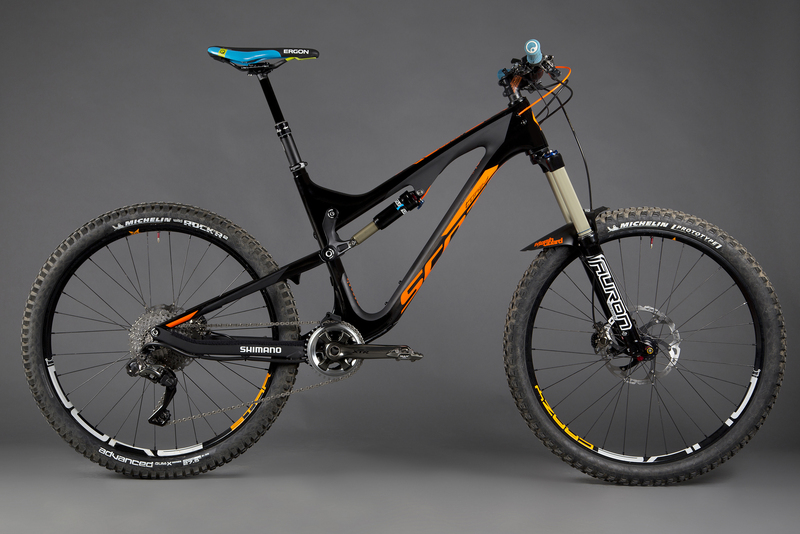 A “DH” configuration with big pedals, tires and wheels: Without the carbon rims, it weighs in at only 13.4kg (size large). Syncros 760mm bars and 50mm stem are colour matched to the frame. Shimano Di2 lets Remy customize his shifting to his own preferences and the demands of the course. Smart integration of the Di2 cables: the hoses and wires are neatly integrated into the frame. 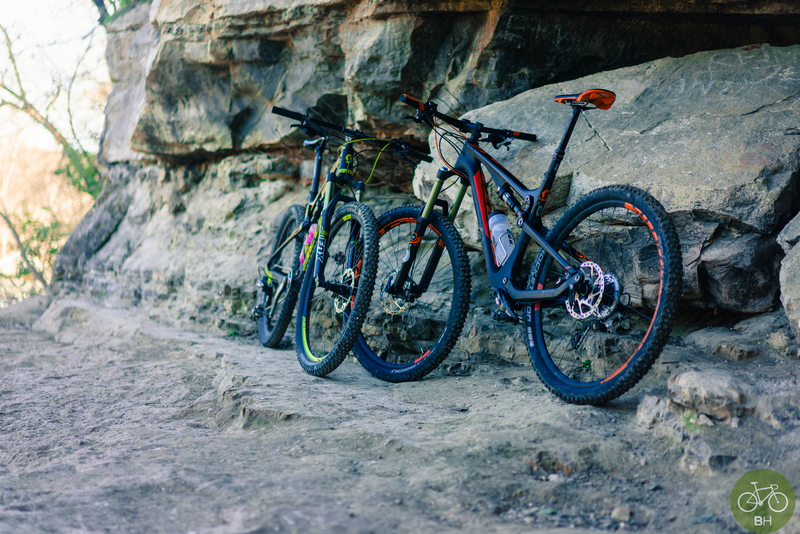 Also see this Scott Bike story from Issue 15 of our magazine about riding in the mountains and the Scott Bikes tag. The rest of the Remy bike photos are on G+.